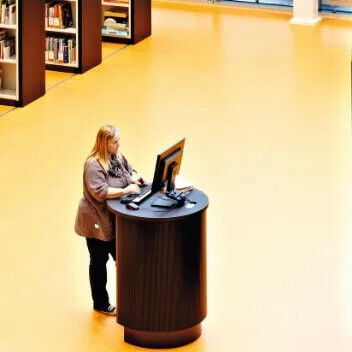 Marmoleum stands for versatility in application as well as in colour and design. 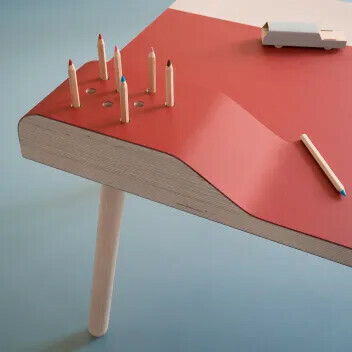 What makes Marmoleum special is that it is created from natural raw materials that give it its unique performance attributes. All Marmoleum floors now include Topshield2, a double UV cured finish that takes care of beautiful floors with a lasting appearance retention, resulting in the flooring solution with the lowest costs of ownership over its life-time. Defining natural spaces. Discover the beauty of a naturally CO2 neutral floor covering. 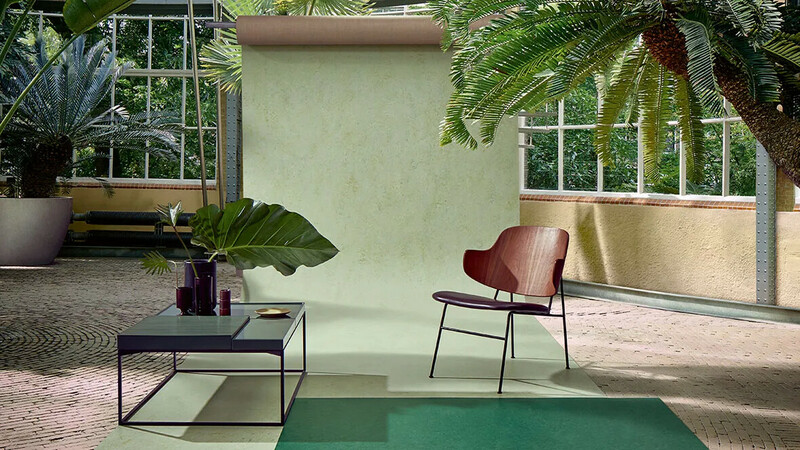 Our new Marmoleum Marbled collection enhances the classic marbled pattern with 5 intriguing organic structures presented as the largest sustainable floor covering bank. Its blend of colours provides versatility when combined with other surfaces such as woods and stones. Explore our Marbled ranges Real, Fresco, Vivace, Splash & Terra. Presenting the pure nature of linoleum. 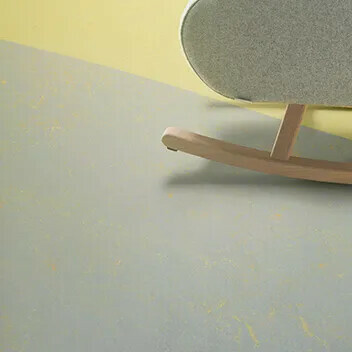 We proudly introduce our renewed Marmoleum Solid flooring that combines attractive contemporary designs with unrivalled versatility and innovation. Discover our new Cocoa range where we've added cocoa shells creating a unique granular look. Or take a look at the embossed slate design that combines the timeless aesthetics of stone with the warmth and purity of linoleum flooring. 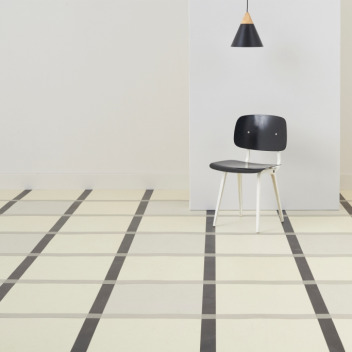 Explore how distinctive Marmoleum can be with our Solid ranges Concrete, Cocoa, Piano, Slate & Walton. 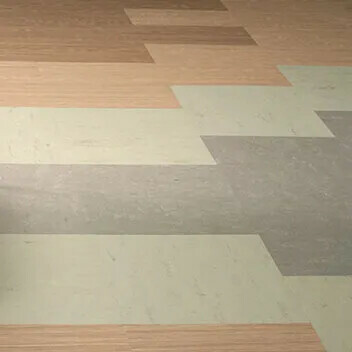 Marmoleum Ohmex is linoleum that meets higher requirements for electrical conductivity. Electrical resistance is improved to < 1-10 8 Ω (EN1081), ensuring personal safety and protecting equipment that is sensitive to static electricity. 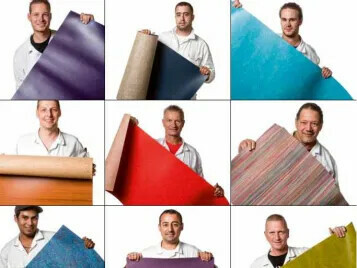 Acoustic linoleum achieves lower dB values thanks to a special insulating layer that is laminated to the linoleum sheet. In this way impact sound reduction of up to 18dB can be achieved. 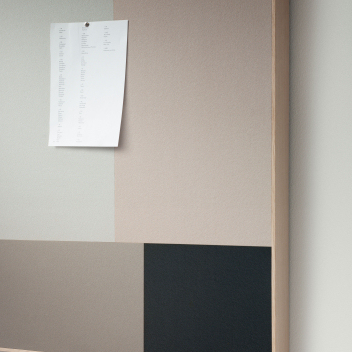 Our Bulletin Board pin board linoleum offers a practical, simple solution to collect and exchange thoughts and ideas whenever people plan, create and meet. Bulletin Board is an all-natural material that can be applied in framed or mounted pin boards or directly to the wall. Its surface is tactile & colourful, creating a decorative element in your space. 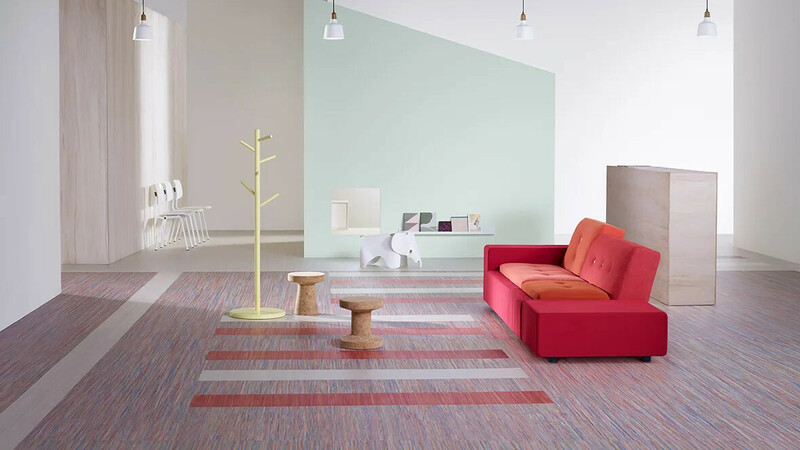 Snakes & Ladders and The Slide use elements from the Marmoleum Modular Shade collection. 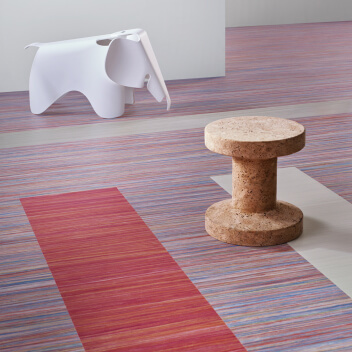 Marmoleum Modular is an Allergy UK approved floor covering and is made from 88% natural raw materials. 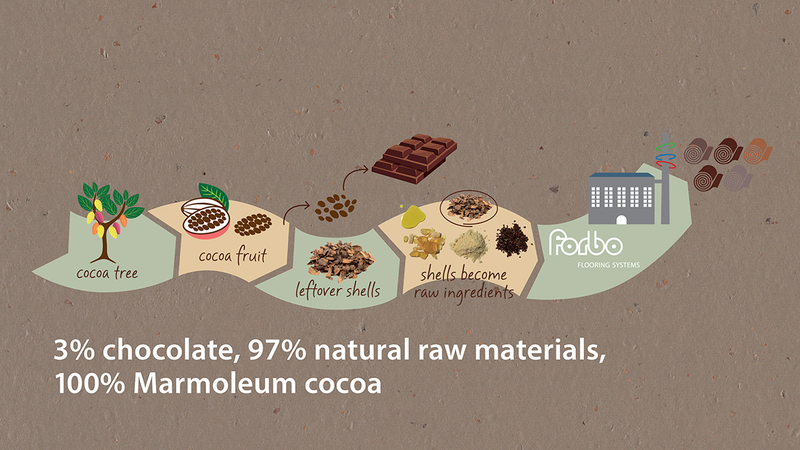 76% of the raw materials are rapidly renewable. 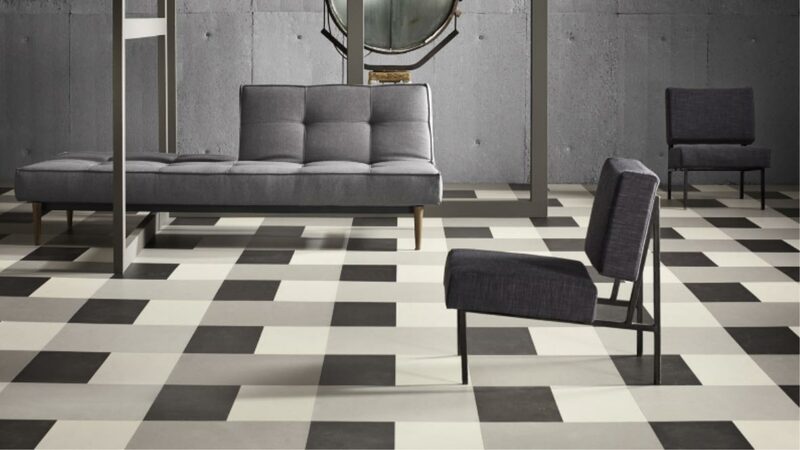 Marmoleum Modular tiles are available in six different sizes. The Hemingway x Forbo collection uses 25x25cm, 50x25cm, 50x50cm and 75x50cm over the two designs. 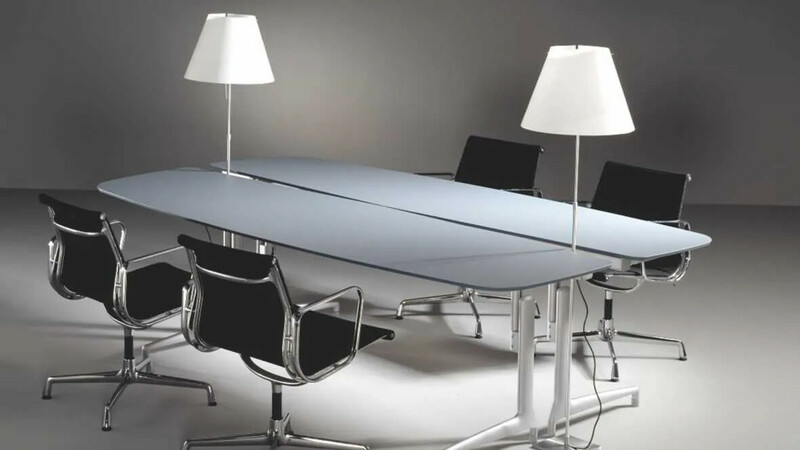 Forbo's Furniture Linoleum Desktop is a natural surfacing material that delivers the finishing touch for all high end 3D furniture designs such as desks, chairs, stools, cabinets, doors and displays. The material is flexible and can be applied as a surface on all kinds of constructions. Furniture Linoleum is renowned for its elegance and durability, radiating high quality and finesse. Are you looking for something unique on your floor? That is also sustainable and durable? 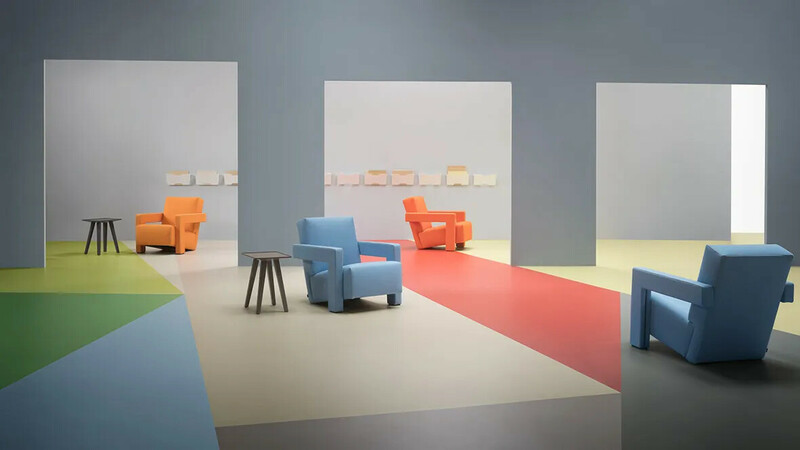 Our Designing with Marmoleum selection offers you just that. With our Aquajet technique we can create the most precise and detailed floor designs. 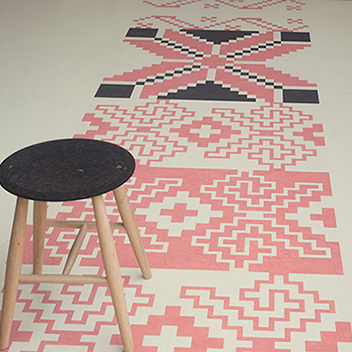 From laser engraved Marmoleum tiles to exciting designs created by international designers. Explore your options below! Create your floor! Our new Marmoleum Modular collection presents sustainable linoleum tiles in various sizes & designs that allows you to create stunning floor designs. The planks and tiles are created around visuals of wood, concrete, stone and marble and can be used to mix and match or on their own, both delivering a beautiful sustainable floor. Discover the endless possibilities of Marmoleum Modular! • Of all the electricity we buy, 100% comes from renewable sources. This means our linoleum production sites are part of an effective environmental management system and achieve ISO14001 certification. 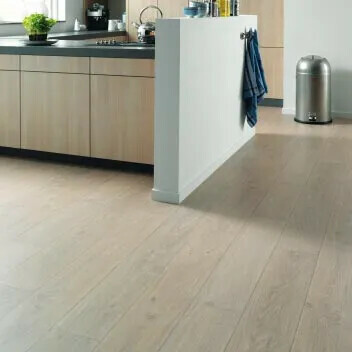 • Through our Back to the Floor scheme, we can collect installation off-cuts from our Marmoleum floors and recycle them back into Forbo products at our plant in Kirkcaldy, Fife. Frederick Walton discovered linoleum and patented its manufacturing process in 1863. It is quite remarkable that a product, discovered in the days of gas lights and horse-drawn carriages, is still used in applications for which it was originally designed, such as flooring in healthcare and educational facilities. Over 100 years and more, linoleum has found its way into an incredibly large number of buildings all over the world. It was the dining hall flooring for the famous Alcatraz prison in San Francisco, CA, as well as the elegant White House in Washington, DC. Not to be outdone, linoleum is also installed in the Kremlin in Moscow, the German Reichstag and Buckingham Palace. Even Anne Frank's house in Amsterdam (1938) featured linoleum, as did Sorbonne University and the institute of Madame Curie. 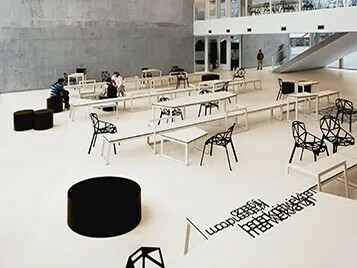 Marmoleum is still found today in many public buildings world wide from the new opera house in Olso or the latest tribal art museum from Jean Nouvel in Paris. Marmoleum remains a classic that is loved by Architects because of its authenticity and versatility. The craft of manufacturing linoleum has evolved over the last 150 years. Forbo has been driving this development through its Marmoleum brand. Making Marmoleum is an art, which is not learned at any trade or craft school. In fact, only a handful of people know how to make Marmoleum. The reality of day-to-day life for a floor covering is that it encounters both use and abuse without being able to balance its performance with prescribed cleaning and maintenance regimes. Topshield2 has been designed to ensure that Marmoleum meets the demands of everyday use, to give you a floor that gives lasting performance over time. Read our Work Fever Report , compiled in conjunction with Allergy UK, and find out more about how Marmoleum can help create better indoor environments. Marmoleum's ability to inhibit the growth of bacteria stems from the natural raw materials that go into its production, namely linseed oil. 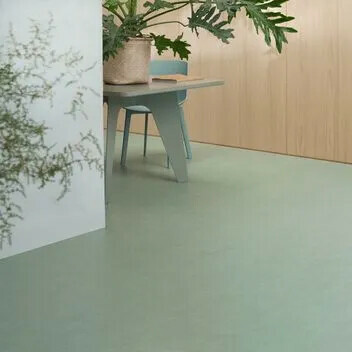 An inherent property of the product, the anti-bacterial qualities of Marmoleum won't diminish over time, giving peace of mind and constant protection from the moment it is installed. 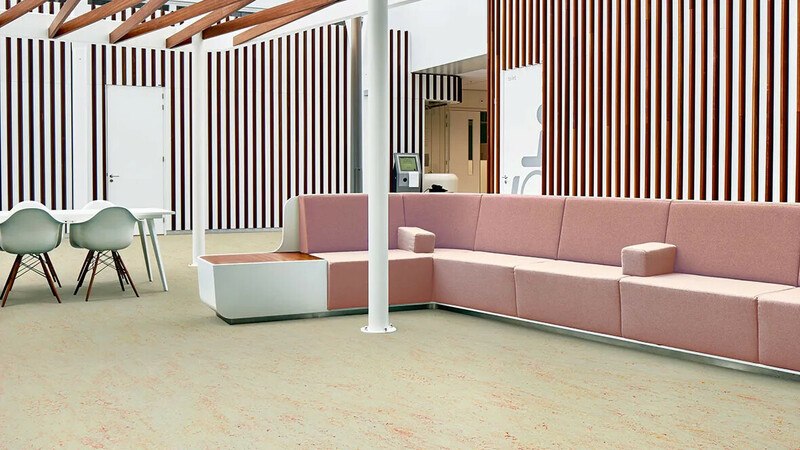 Particularly suitable for use in healthcare and education environments, Forbo's Marmoleum floor covering is a versatile product that gives character and quality to a very wide range of applications.